It’s no real surprise to hear a player insist that he’d like to play for Man Utd, and Stoke City ace Jack Butland appears to be the latest to have done so. The England international has impressed with the Potters and in turn it has led to speculation of a move to a big club further down the line. With ongoing question marks over De Gea’s long-term future at Old Trafford having been strongly linked with Real Madrid for the last two or three summer transfer windows, the time may come when United are forced to consider their options. 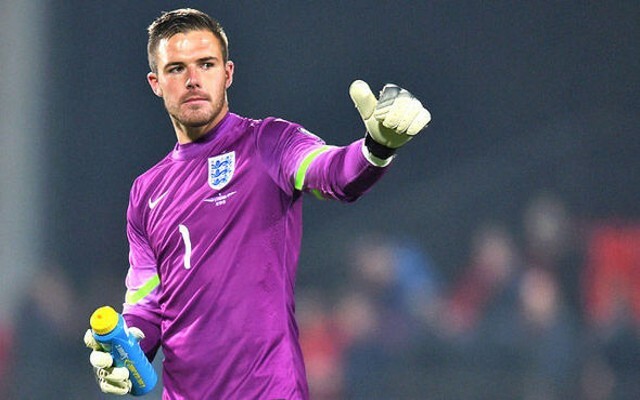 It appears as though Butland has done his part in terms of getting into the Man Utd good books as well as with Jose Mourinho, as the 24-year-old has insisted that he would weigh up his options if a big offer came along, naming the Red Devils specifically as a club he would consider. “My ambitions are to be the Stoke number one and England number one, but there are other things I want to achieve in my career as well,” he is quoted as saying by the Manchester Evening News. “I want to play in the Champions League and I want to win trophies. “If it’s the right move at the right time, you never know. You always have to think about these things. This will undoubtedly be noted by Man Utd and Mourinho, and when the time potentially comes to identify a capable replacement for De Gea, Butland could be on the shortlist depending on whether or not he can maintain his high levels of performance on a consistent basis moving forward.